On 18 May 1291, after a desperate siege of six weeks, the city of Acre, the last crusader stronghold in the Holy Land, fell to the Mamluk army. It was the effective end to Christendom’s two hundred year adventure in the realm it called Outremer. The aftershock would last for hundreds of years. Despite calls for crusade that would rumble on almost into the seventeenth century, the dream of Jerusalem died amongst the ruins of Acre. The fall of Acre has iconic significance in crusader and medieval history. Its events are both memorable and dramatic, notable for technical advances in military planning and siege warfare, extraordinary acts of individual heroism and savage slaughter. It forms the conventional end point of complete histories of the Holy Land crusades, and has been repeatedly mined by historical novelists. It is widely if vaguely known, yet there have been surprisingly few detailed studies of the siege itself. Acre was to all intents and purposes ‘The Kingdom of Jerusalem’ and its loss signalled a break point in the Middle Ages and the last significant action by the great crusading military orders. At the time both sides were acutely aware of the finality of the outcome. ‘Everything was lost,’ wrote a defending eyewitness, ‘so that altogether the Christians held not so much as a palm’s breadth of land in Syria’. A century later women in Cyprus were still in black mourning for the loss of Outremer. For their Muslim counterparts it was a moment when ‘the whole of Syria and the coastal zone were purified of the Franks. Praise be to God!’ It crystallised a bitter legacy for both Islam and Christianity and can claim a resonance over and beyond the drama of the event itself. 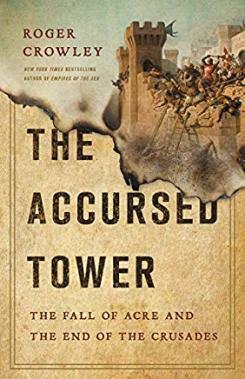 The Accursed Tower tells the vivid story of the siege through contemporary accounts – a ferocious contest, in which giant catapults brought techniques of siege warfare to a new height, that was fought to the last man and the collapse of the last tower. It also sites its significance within the longer history of the crusades and the half-century endgame that led up to the final battle. 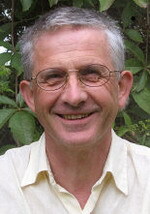 Roger Crowley has moved with his editor Julian Loose to Yale who have bought UK and Commonwealth rights in End Game of the Crusades: The Siege of Acre 1291. Perseus have US rights.